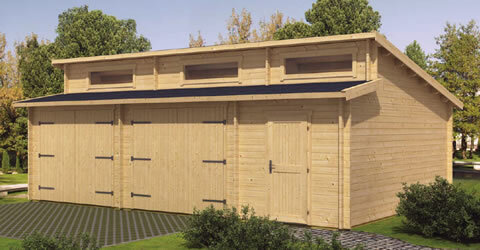 Our Timber garages are solid long lasting buildings and can provide a much quicker and less expensive solution to your parking and storage problems than a brick or block structure. 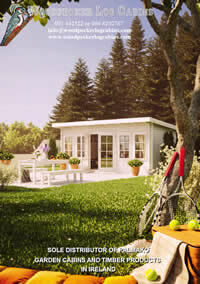 These timber garages are available in several wall thicknesses depending on your requirements and the design chosen. If one of our standard designs does not fit your requirements we can create an entirely bespoke design just for you. The precision machined tongue and grooved timbers used in these garages produce durable and structurally stable buildings.